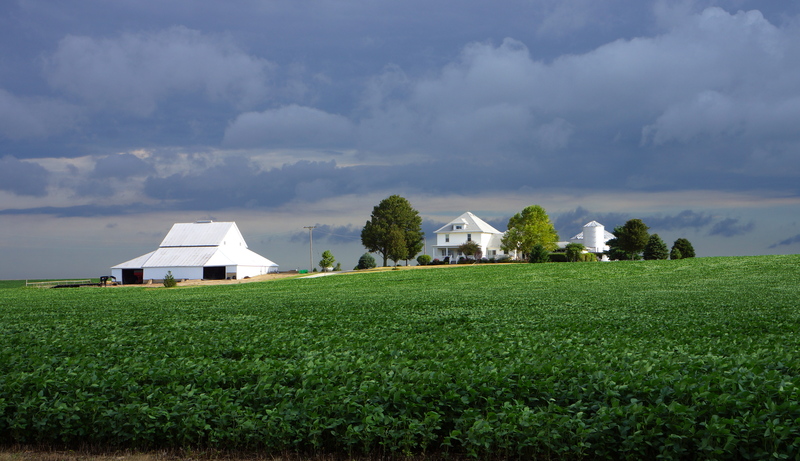 Mile 15: View of typical farm house outside Kewanee, IL showing storms clouds in the distance (fortunately, which stay away from our route most of today). Dinner the prior evening at Cerno’s Bar & Grill in Kewanee was a celebration. After being seated at Cerno’s, a woman I didn’t know walked in and sat at our table – Doug immediately went into shock with a big smile on his face. It was Doug’s wife, Lisa, who flew from Maryland to Peoria and then drove to Kewanee just for the evening to celebrate Doug’s and Lisa’s 25th wedding anniversary that day. She left the next morning to return to Maryland, but will be rejoining us for sightseeing the last week of the tour. Cerno’s decor was unique and beautiful. The bar was imported from Belgium for Pabst Blue Ribbon in 1898 and displayed at a World’s Fair. The Mahogany mirrored bar spans fifty feet, with hand carved figurines at each end. Cerno’s also had detailed carved lion heads throughout the building, wall buzzers topped with tiny eagles that were used to summon a waiter to the customers, an embossed tin ceiling, stained-glass and leaded windows, brass footed pedestal tables and a teller cage where men would cash their paychecks and then come in for a drink. I particularly enjoyed the fried dill pickles. Roads on today’s ride from beginning to end were the best of the trip so far. They were smooth and almost completely rural with little or no traffic. While the scenery was not the most diverse we have seen, nevertheless, it was beautiful and pristine. While we had some light sprinkles and showers, they were welcomed due to the heat. For the last 20 miles, Doug, Robert, Jim and I rode together at a good clip (18-22 mph) thanks to a tailwind and smooth roads. When we reached Streator, IL (by going 5.5 miles off route to get to our lodging), our first stop was the Dairy Queen located five blocks passed our hotel. Doug graciously treated all of us to ice cream. 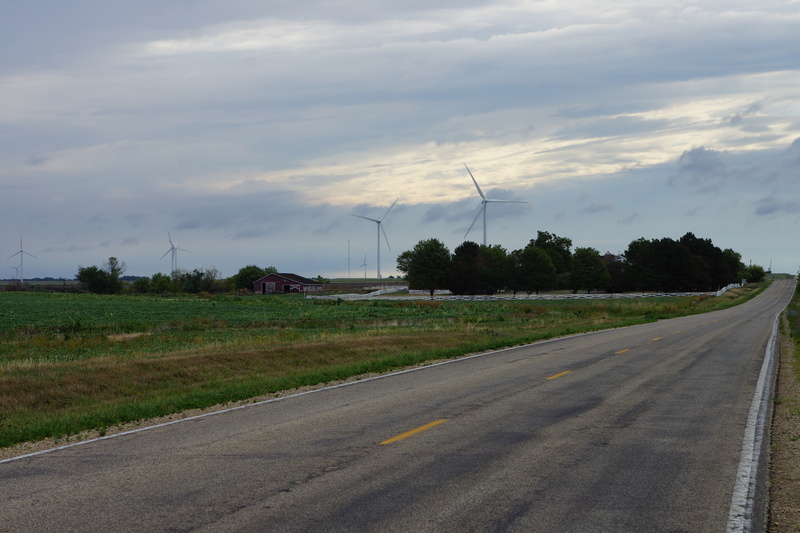 Mile 25: First of two photos of a windmill area near Bradford, IL. Like the one yesterday, this windmill area covered many square miles. 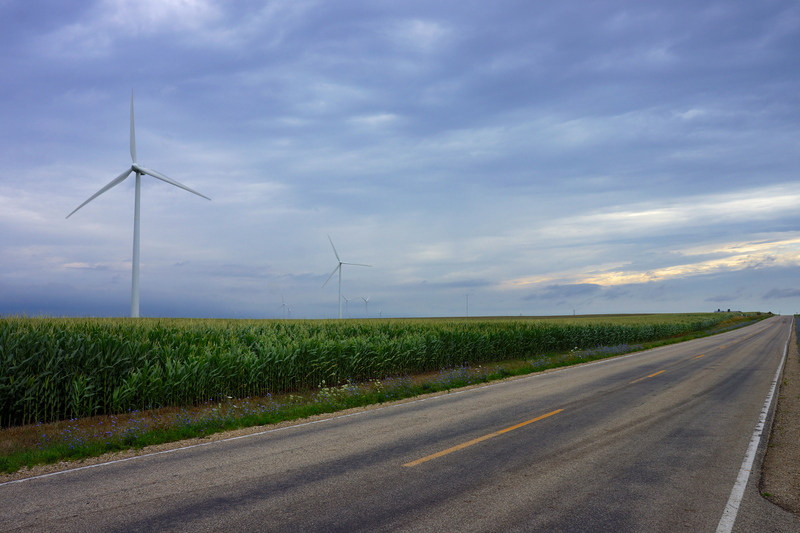 Mile 26: Another view of the Bradford area windmills. 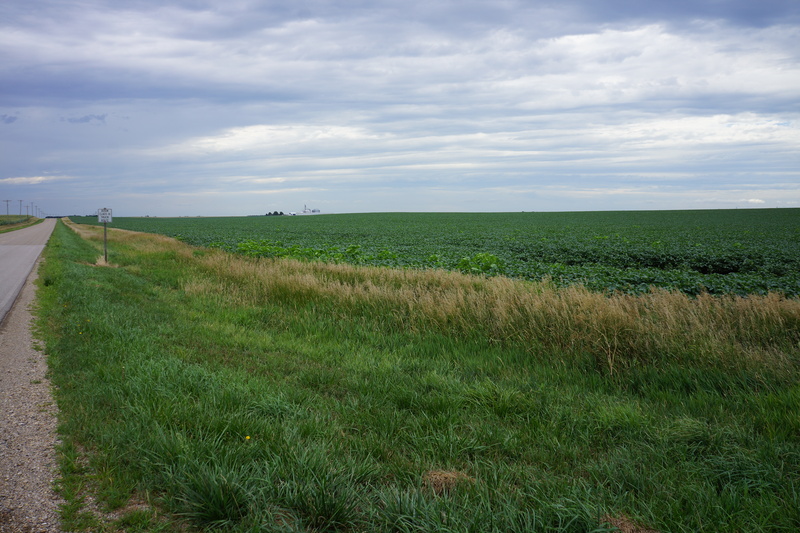 Mile 37: View of bucolic cemetery surrounded by acres of corn and soybeans near Henry, IL. 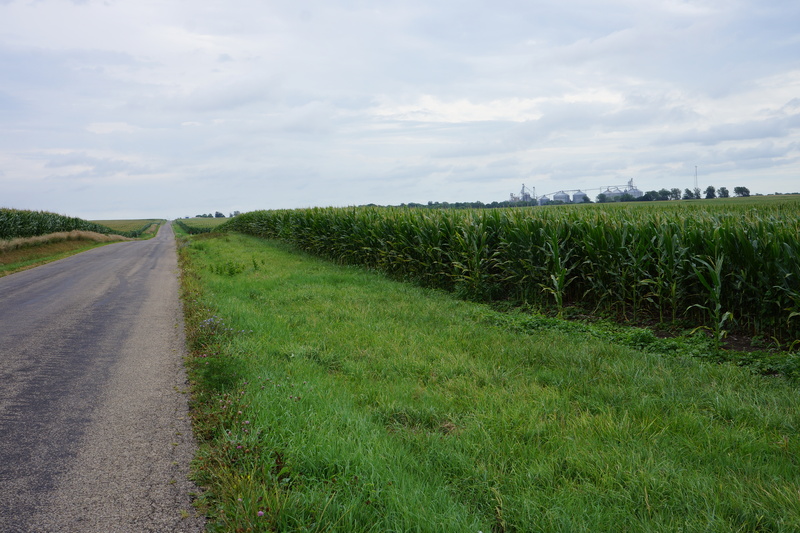 Mile 42: This was the view in every direction at one rural intersection approaching Henry, IL. 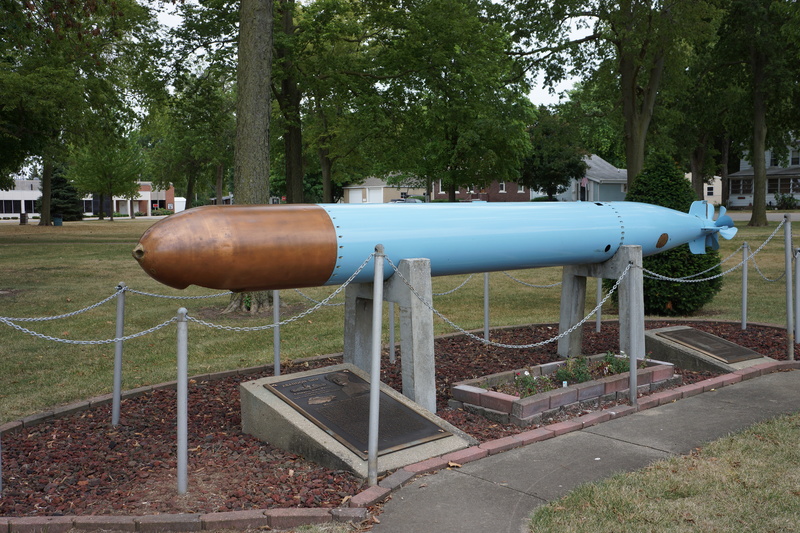 Mile 48: This was a military monument in center city park in Henry, IL honoring submariners, in general, and a particular submarine captain born in Henry who was awarded the Congressional Medal of Honor (see next photo). 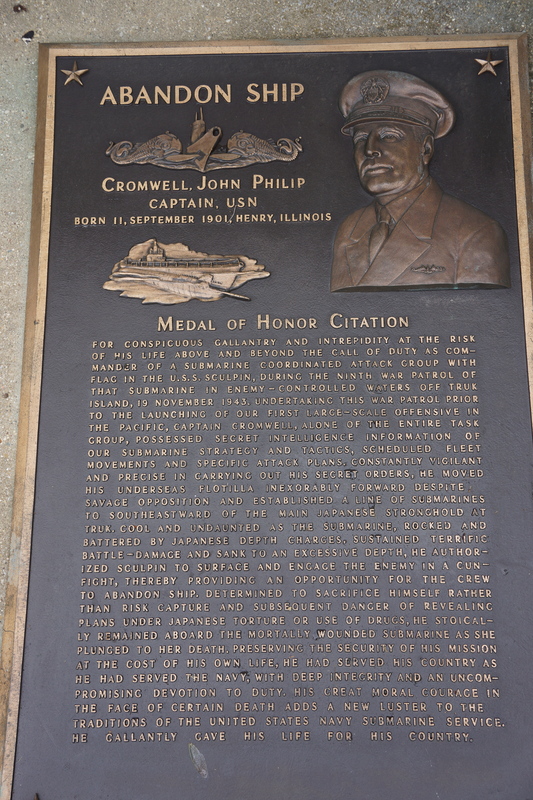 Mile 48: Memorial to Captain John Philip Cromwell from Henry, IL who was awarded the Congressional Medal of Honor. Mile 65: View on very rural Country Road 800N that we biked for 20+ miles – almost no traffic. Wow Steve, what beautiful scenery. The greens and blues are wonderful. You are certainly seeing interesting towns and learning about fascinating people, too. And, Carnos sounds great. You had a good night of eating it seems, fried dill pickes, and then ice cream!